Fenqile is planning a U.S. initial public offering that could raise about $600 million. The Shenzhen-based startup, founded by former Tencent executive Xiao Wenjie, could list as soon as this year. Fenqile, which means “Happy Installment Payments” in Chinese, targets university students who are eager to buy consumer products yet can’t afford to pay in full. 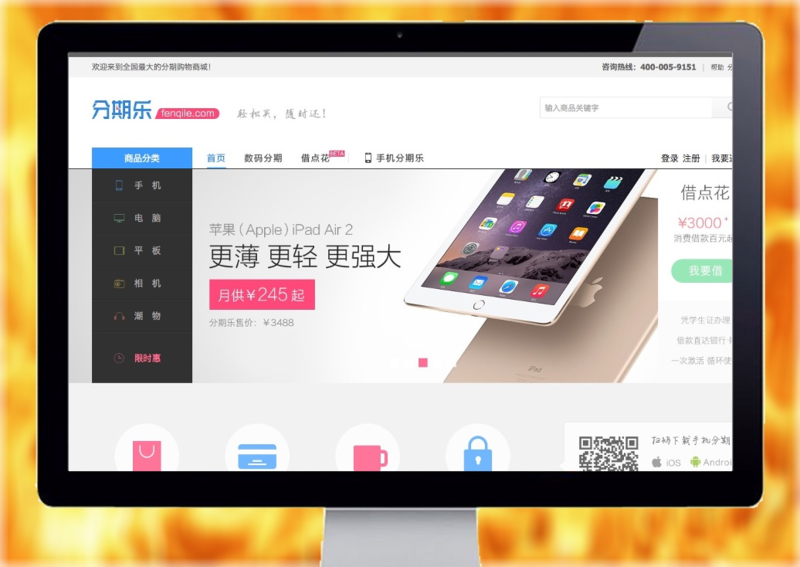 Fenqile, which sells products ranging from laptop computers to concert tickets, has more than 10 million registered users and had 10 billion yuan of revenue in 2015. Selling shares would give Fenqile, which is backed by Russian billionaire Yuri Milner’s DST Global, more funding to compete with rivals like Qufenqi, whose investors include Alibaba’s finance affiliate Ant Financial. 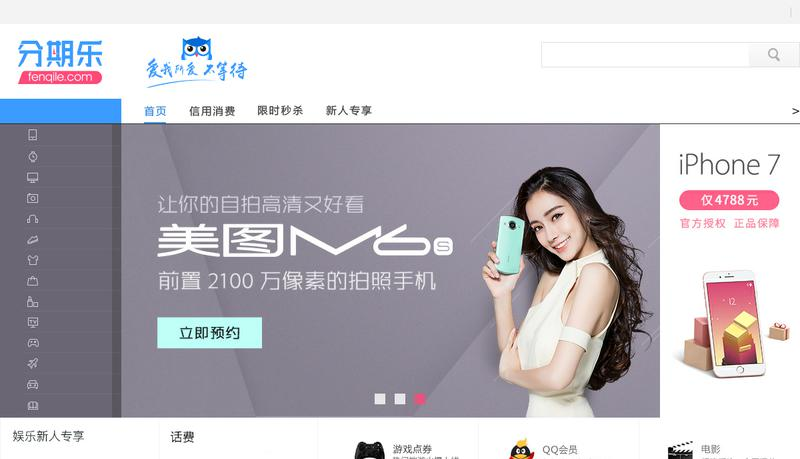 Chinese e-commerce operator JD.com Inc. is also among investors in Fenqile. E-commerce is expected to be the main driver of increased consumption in China, supported by the growth of online shopping in third- and fourth-tier cities. POS consumer credit develops explosively. There are two main segments of POS credit industry solutions — for offline and online sellers. Affirm, working with borrowers under 35, has already shipped its solution to 850+ offline sellers and more than 10 big e-commerce platforms. In round D the company raised $100M ($420M in total). Canadian startup FinanceIt attracted another $17 M (sold its solution to more than 1000 customers). Russian REVO raised $20M (with another $5M in 2015), American BlisPay — $12.75M at seed stage (now they are in a process of raising of similar amount of money), LoanHero — $2.5M ($4.2M in total, integrated with 100+ stores). 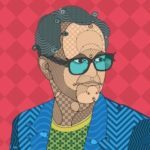 China Rapid Finance has an interesting strategy: they grow mostly due to numerous partnerships with e-commerce platforms (in such industries as tourism, electronics, games and apparel), focusing on EMMA-clients (Emerging Middle class Mobile Active), however, in order to spread to offline segment, they have opened around 70 offices. The company has got more than 1.2M customers already, announced strategic partnership with Tencent (owner of WeChat, invested in American lending startup Payoff) and raised $90M in total in two rounds of 2016 with evaluation at $1B. Also, this platform doesn’t spend its own money issuing credit — it acts as intermediary between client and partner banks, which couldn’t reach him otherwise. German Kreditech pursues the same strategy (although it credits only online purchases currently). Recently online-lending service for students SoFi (Social Finance Inc.) announced that the company is close to raising about $500 million in a funding round expected to be led by private equity firm SilverLake Partners to bolster the expansion of its online-lending businesses and personal financial services. The investment round should include several Asian investors like Japan’s SoftBank and others. The new international group will purchase SoFi’s loans as well as take an equity stake. The fundraising round values SoFi at $4.3 billion, higher than its previous valuation of $3.2 billion. 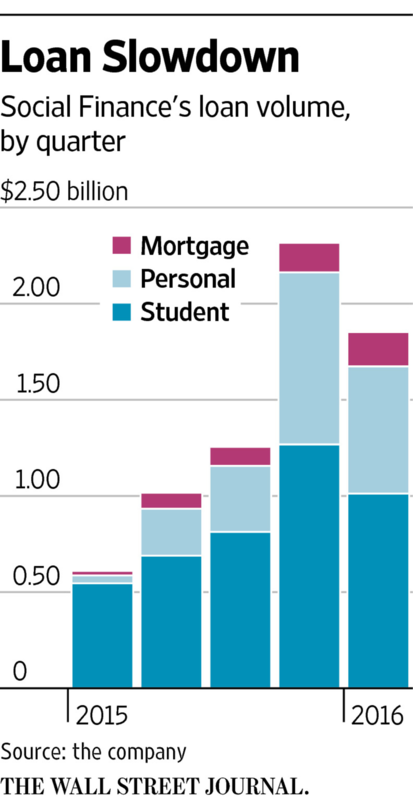 Closely held SoFi started out in 2011 by refinancing student loans. In 2015, San Francisco-based SoFi issued $5 billion in loans. That had grown to more than $15.5 billion by early this year. It’s since chased a much wider vision, expanding into personal loans, mortgages, wealth management and life insurance. Earlier this month, SoFi acquired mobile banking startup Zenbanx for about $100 million. Expansion and scaling to neobanking as complimentary fintech vertical is very trendy step right now. Online student loans represent another very interesting niche. 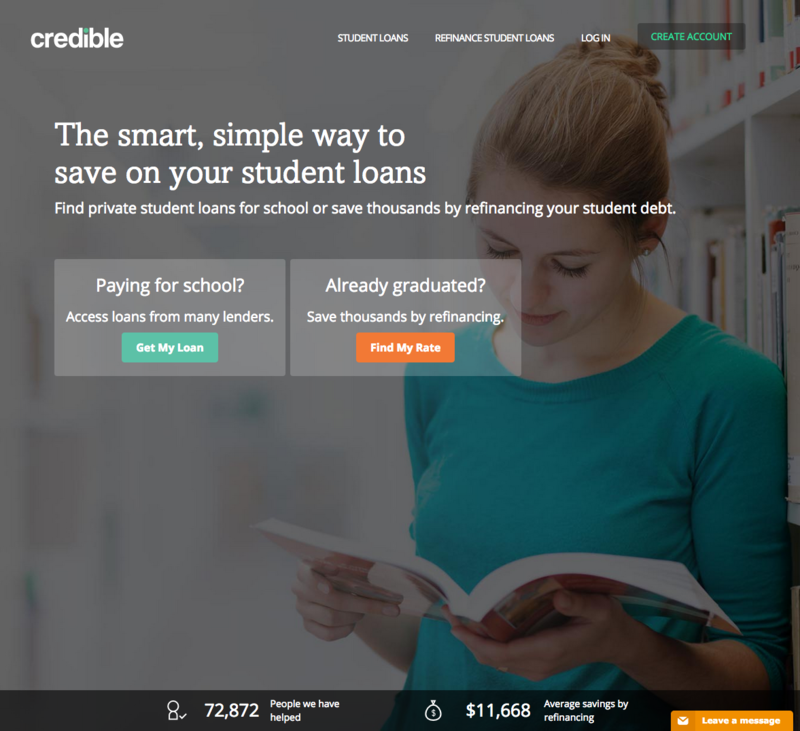 Such players as Affirm and Credible have already started to expand their product lines to provide not only personal loans, but student loans too. 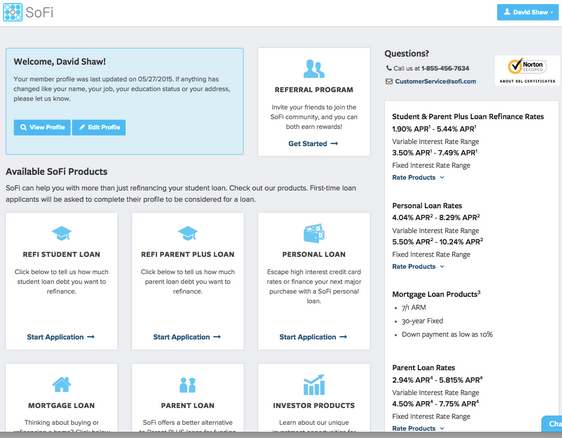 American public company SoFi, a market leader, actively expands its business model to b2c (not only student loans, but mortgages as well) and b2b segments. There is a pool of interesting projects focusing on particular needs (and behavioral trends) of some client groups. SelfScore, for example, allows international student to build a credit history in the US by issuing them credit cards – and this is a niche of up to 1M borrowers a year. Noteworthy, this sector is actively developing only in the US despite the fact that student loans are a burning issue everywhere. Only British Future Finance (has raised $13M in equity and $143M of working capital to finance credit disbursement and expanded to the German market recently), Indian SlicePay (ex-Buddy) and Indonesian Cicil (all of them are very small startups) are developing in this field. This is strange considering that people from Singapore, Hong Kong, Japan and Korea spend considerable amount of money for their education. Credit Opportunities Fund, created by SoFi, allows institutional and private investors acquire pooled loans from SoFI and other players. The Fund has recently sold a portfolio with AAA rating by Moody’s worth $380M, which sounds like an investment opportunity for pension and insurance funds (which, in turn, would open this newly emerged market to conservative investors). The past year put forward the question of lending startups’ refinancing (so they would be able to lend money to ever-increasing client base) as the number of these startups and growth rates of these businesses make them seek for sources of external financing such as credit lines from pension, insurance and hedge funds (which are not able to invest in lending startups directly due to inherently high risks of the latter) and loans from banks with cheap money. In certain cases they also turn to portfolio securitization (when the debt of similar maturity structure and liquidity risk is assessed by external auditors, pooled and sold to investors wholesale as security) since venture financing can’t provide enough money for them. Specialized platforms offering such securities appear and facilitate trading. As far as securitization is concerned, while big players are coping with it by themselves, smaller firms need specialized platforms and funds to act as their intermediaries. Credit portfolio securitization issue (as well as accessibility of long-term and cheap financing sources in general) is crucial for India and Southeast Asia, where the abundance of lending startups and their inability to scale-up to the national level lead to “hen and egg” problem (not enough money as long as there are not enough borrowers and vice versa). Japanese and Korean funds could play facilitating and unifying role if they untie this Gordian knot. Let’s turn back to the problem I have mentioned above: the “hen and egg” issue (sufficiency of both borrowers and funds to lend to them) is gradually turning into the “vicious circle” problem (to attract enough capital one has to be skilled at risk management, which forces one to differentiate on the market not by the price factor but by focusing on the target audience and understanding its behavior). Another problem is “ecosystem presence” (when an attracted client leaves, if not offered any new products). Investors on these platforms become more pragmatic and they are no longer hooked by the fresh approach of projects, but tend to look more at expected profitability versus potential risks. They also become bigger (the key players in capital deployment through such services are funds and banks), and as a result startups are required to improve their reporting and process management (more expertise in securing loan portfolios, than in innovation in finance). 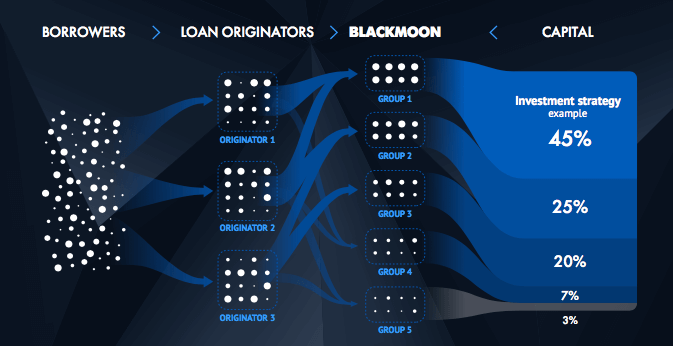 As I have already mentioned, there is a whole new wave of startups (and funds) that focus solely on investing in this kind of services (for example, Russian-American Black Moon). A mere idea of a loan marketplace (mediator space between capital holders and potential borrowers) is no longer relevant: you need to be as focused and differentiated as possible: to manage risks better (by means of big data or localization for some specific audience’s needs), or have some unique offer (on specific conditions, pledge or its absence, ways of issuance, specific clients), or the largest amount of money to invest (then again we return to the question of clients number and quality of risk management). As described above, almost all startups in this field work within the borders of one country, while the necessity to unite lenders and borrowers from different countries is becoming more and more audible. The developed markets (Japan, Korea, Singapore, Hong Kong) are well endowed with money and have low interest rates. The developing economies like India, Brazil and Indonesia are in need of capital (preferably at lower interest rates, which are still high enough for investors from the developed markets). In order to make the movement of capital possible, platforms need to work their way to international expansion and have a sufficient level of trust (brand awareness, sufficiency of the present audience and experience in risk management). Most probably, in the near future we will see the services, which will give people an opportunity to lend and borrow money across borders, leveraging advantages of the best-in-class services in each country.